Holding an event can be great fun but organising it can be a bit daunting. Below are some answers to questions we get asked that might be of help. If you have any queries that aren’t answered below please feel free to contact us. Marquee prices really do range from a few hundred pounds up to thousands. We individually list items to allow you to add and remove as required. Price really does depend on how formal or casual you would like your event. The size structure you need depends on the type of event you are planning. You need to consider things such as if you want your guests to be seated, standing or part and part. What additional items you would like in the structure i.e. stage, bar area or dancefloor. We have a holding Chart which should give you a general idea but please feel free to contact us for help working this out. As a general rule weekend events are delivered on a Thursday or Friday to suit you and mid-week by arrangement. Dismantle is generally on a Monday or Tuesday. We try to be flexible in regard to delivery/collection. Depending on where you are putting your marquee may effect the length of hire. Different sites do have their own rules on access times. We will always try to arrange convenient times with you. If the hire period required is for a second weekend (Inc. build/dismantle) an additional costs will apply. 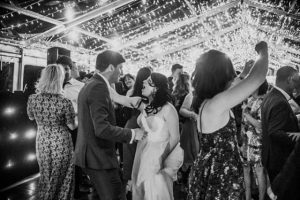 Do I need insurance to hire a marquee? We carry public and employee liability insurance, which some sites will ask to see. In regards to carrying your own policy for your event we do recommend it. This is purely for your own peace of mind and we do not insist on it. Whilst hiring our equipment you are responsible for your guest behaviour so if any damage does occur it could end up costing you money. These day marquee heating and flooring is really effective, so using them in the winter is a great option. What you should bear in mind for winter events is that you will need some extra items to get the most out of your marquee. Heating and hard flooring become an essential rather than a luxury. Do I need wooden underfloor? Wooden underflooring gives a great finish to a marquee. Wooden flooring is advisable on some sites and in certain weather conditions.If your event is on a nice level ground and it isn’t waterlogged it is not essential. Most of our summer functions opt not to add it on to keep costs down. Our marquees are all manufactured by leading suppliers and all comply with British Standards. Professional marquees are designed to a very high spec and undergo vigorous testing in various conditions including wind loading. Our equipment is regularly maintained and we complete on site safety checks for each job. Extreme weather can and does effect marquees, especially high winds. During your hire period weather and ground conditions are regularly monitored. Bad weather can effect build times. We will always do our best to maintain schedules and make clients aware of any changes needed. We pride ourselves on our safety record and will always work in the best interest of safety for your event. Included in your hire is a 24hr call out service so you know if you have any concerns we are available. We will run the relevant leads from the items we are supplying to your power source. For smaller events at home this can often be your household supply. We use LED lighting on most jobs so our power demand is quite low. Some functions, either ones with suppliers needing more power or on a site which no power service is available, a generator will be needed. We do not supply these directly but can recommend and advise on size if you need us to. Can you build a marquee on a slope? Slight slopes will not generally be an issue. However, you need to remember that the slope will still be there so it may affect the best way to lay out your interiors. Scaffolding flooring can overcome a sever slope. Leveling floor will cause an increase to costs. If the uneven ground is at your own or a families private residence an alternative can be to have the garden levelled. Price wise this could work out as a better option and also means a permanent solution as opposed to a temporary one. Can I change my order once I have confirmed? It is advisable to book well in advance due to the high demand for marquees at certain times of year. 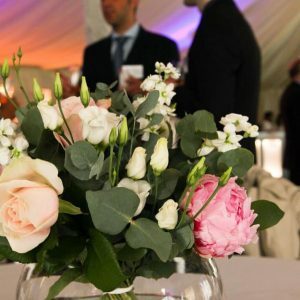 We realise that as your event approaches you may need to make changes to your order. This is especially true for final number of guests, we will always do our best to accommodate any changes you need however this is subject to stock availability at the time. Can I just hire accessories from you or do I have to have a marquee as well? All of our items can be hired independently, so you can just hire what you actually need. 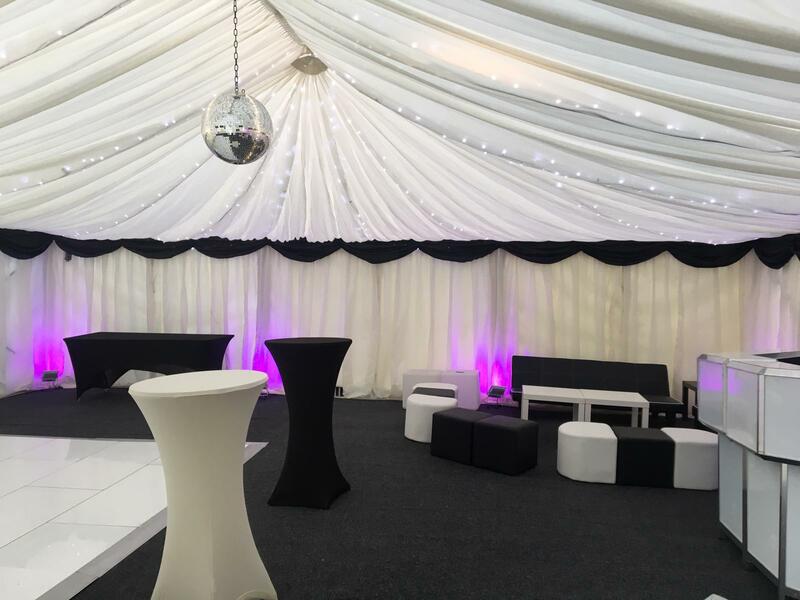 A number of our clients have their own gazebo style marquees and just hire the flooring and lighting from us. Can I open the sides of the marquee? The sides to the marquees open easily and if the weather is nice this can be lovely. We carry out weather checks as part of the onsite safety check so will advise if you are due any adverse conditions.